Q: Why did my premium increase from the prior term, even if I didn't turn in a single claim? A: This is an answer that could get very complex, but we'll try to keep it simple. Obviously, there are factors within your control that will affect what you pay for insurance: amount of coverage carried, claims, credit score, payment and cancellation history, how high (or low) of a deductible you carry, and so on and so forth. And then there are those that aren't within your control. Sometimes premius still go up (or down) regardless of anything you may have done. Insurance companies make money in two ways - 1) underwriting profit (or loss), which is the premiums they take in, less losses paid out, and 2) returns from their reinvestment of past earnings into stocks and bonds. It's important to remember that insurance is a global industry. Most companies are affected by losses and economies from around the world, either directly or indirectly (through their re-insurers). Even if your neck of the woods has avoided catastrophic weather and the local economy is strong, somewhere in the world, that's not the case. If those conditions are worse than forecast, expect rate increases in the future. Q: If I cancel my policy, how much will I get back? A: This question depends on a number of factors: your state, the line of business the policy covers, whether your policy contained a minimum-earned endorsement, any fully-earned endorsements, how far into the policy term you are, how current your payments are and the reason for cancellation. Typically, if the policy holder is requestiong the cancellation returns will be calculated on a short-rate basis. If the insurer is the authority having to cancel coverage, return premium will be calculated on a pro-rated basis. Your insurer will calculate the amount of unearned premium due back to you. We can only estimate it. Q: What's the difference between standard and non-standard auto policies? A: Standard insurance is for drivers with very few violations, claims or cancellations of previous policies. In most cases, these drivers have better insurance (or credit) scores. Based on these characteristics, standard insurance premiums are much less than non-standard insurance premiums. Non-standard insurance, on the other hand, is for those with major violations, prior cancellations, prior claims, no prior insurance coverage amongst other things. These insurance policies, most likely, are for minimum coverage. However, the biggest difference is the forms the policies are written on. A standard auto policy is one that is regulated by the state and for the most part, there's very little difference in the language and coverage afforded from one standard policy to another. Non-standard policies are also regulated by the state issued in, but vary greatly in price due to the wide range of customization (endorsements and exclusions) by the carriers issuing them in order to account for a wider range of risks. Non-standard coverage is for drivers who are unable to obtain insurance through the typical methods and companies. It's typically higher risk drivers, inexperienced drivers, high risk vehicles, as well as drivers with high claim frequency, major violations, prior cancellations, no prior coverage or very poor insurance and/or credit scores. Many large carriers, particularly those that sell directly to the consumer, offer both standard and non-standard policy forms. If you're shopping your coverage on your own, be very careful with what you buy. If something seems too good to be true, it usually is. Q: Do I have to have Workers Compensation coverage for my business? A: With just a few exceptions, if you have even one, part-time employee, then yes. And there can be big fines for going without Workers Compensation insurance, including possible felony charges (in Illinois, which would make you ineligible to hold a liquor license, and can be a huge hurdle if you're involved in a business that needs a liquor license). Actual requirements vary by state. Q: My business sells very little alcohol - do I even need liquor liability coverage? A: Yes! For some states, such as Illinois, liquor licensees MUST have liquor liability coverage and you can be slapped with fines or have your license suspended or revoked if it's discovered you are operating without liquor liability coverage. In other states, such as Missouri and Indiana, even though your annual sales receipts for alcoholic products may be very low you can still be named in a lawsuit if an allegedly intoxicated patron harms a 3rd party. Whether you are guilty of over-serving a patron or serving a minor is beside the point - having liquor liability coverage will at least provide you defense to fight the accusation. Should a lawsuit against you go to trial, the defense costs alone can sometimes be as much as the settlement or award. So without liquor liability coverage, you would be responsible for the entire cost of such a claim. Q: I've had some bad luck with claims the last few years, can I still get coverage? A: It depends. All companies have their own underwriting guidelines as to what amount of claim frequency and severity they will tolerate. 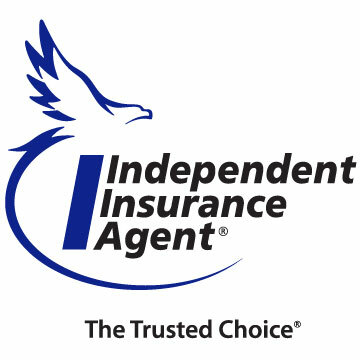 We are an independent agency, which means we are not beholden to one particular insurance company. We represent multiple companies and we use them to find our clients the best possible combo of coverage and price that we can. We've been able to help some folks out who had some pretty ugly loss histories. Q: I put in a security camera system, do I get a discount for that? A: Yes, most companies will grant a discount if your premises are protected by a security camera system. Now, some may apply the discount mid-term, while others may wait until the next renewal period, it just depends on the carrier. And how much of a discount may depend on several factors, such as how much of your premises is under surveillance and how long video backups are kept. It's not a huge discount - often just a few percentage points off of the liability portion of your premium - but the real payoff comes if and when you ever have a claim when you should have the video evidence on hand to swat down any fraudulent claims and keep your loss history nice and clean. Q: Why do some companies care about my kitchen equipment so much? Are they really going to cancel me? A: If you ever have a fire, even a small one, you will find out that ALL companies are concerned with your kitchen and fire protection equipment being serviced in on a regular schedule, it's just a matter of when they want to check for compliance. Fire extinguishers, fire suppression (Ansul) systems, hood & ducts and even fire sprinklers and perhaps even various alarms - these items are required to be serviced, cleaned and/or inspected periodically. It's not your insurer that sets the guidelines, that would be the National Fire Protection Association. Your insurance company only chooses how diligently they want to check on your compliance with NFPA code. Some will pester you once or twice a year for copies of service receipts for this equipment. They would rather have you be in compliance and able to pay your claim than only check on it if you have a fire where this equipment could have prevented or minimized the damage incurred. If that happens and your equipment was "out of compliance" with the servicing requirements the insurer can (and usually will) deny your claim. Find out more here. Q: Personal Lines - Are my valuables completely covered? A: Certain classes or types of items are treated differently by your Homeowners insurance company than ordinary household things. They include jewelry, firearms, cameras, collectibles and collections, computer equipment, fine art, furs, hearing aids and/or medical devices, musical instruments, and sports equipment. These possessions may have coverage limitations and/or separate deductibles under a Homeowners policy form. If you have more than a couple thousand dollars in any of these, they're often best protected by a Personal Articles Policy that provides broader coverage and higher amounts.